The Prodigy 400 M3 is an extremely reliable stable mid range driver. 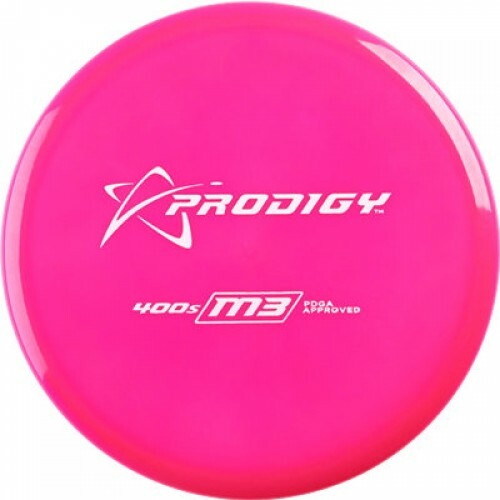 It was designed to be stable for moderate power throwers and for players who need a disc that will finish left (right handed throwers) with incredible consistency and control. The M3 mid range is good for all conditions and flies well in all wind conditions. The consistent flight path of this disc golf driver makes it a favorite of the top rated players in the world.